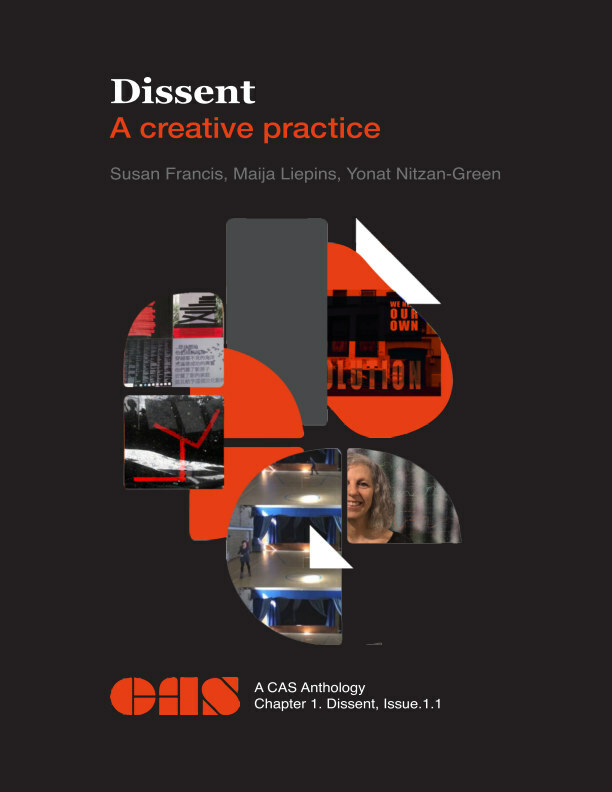 An anthology of essays by CAS artists Susan Francis, Maija Liepins and Yonat Nitzan-Green. An exploration of theory and practice, these three very different essays consider how Dissent might be understood as a constructive and creative methodology that encourages a dialogue and generates new solutions and relationships. Susan considers 'the relational self' and how it might create an interstice for a constructive dissent. Maija focuses on 'individual dissent for collective change' exploring how dissent is part of a non-linear process of mutual creativity. Yonat asks whether the performative act (including mis-performance) can be understood as a link between a painting and that "outside it".